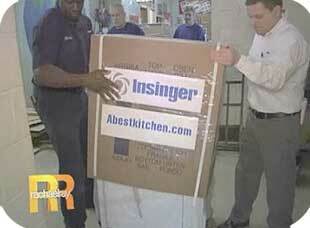 ABestKitchen assisted with Rachael Ray's inspirational episode about an inner-city teacher and her students. In just three days, Ms. Stephenson's culinary classroom was converted into a state-of-the-art kitchen and bistro. Chef Bobby Flay makes a surprise guest teacher appearance. The show aired on May 30, 2010. 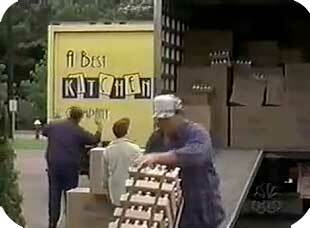 Remember that old ABestKitchen logo? 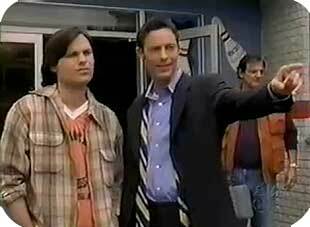 Here it is on NBC's show Ed, back in 2000. ABestKitchen delivered an extraordinary amount of salt and pepper shakers and napkin dispensers to Ed's bowling alley in Stuckeyville, Ohio during one of the early episodes of NBC's hit TV show, Ed. The comedic scene had us delivering a truckload of napkin dispensers and salt & pepper shakers (way too many) that the character Phil had ordered for the bowling alley. 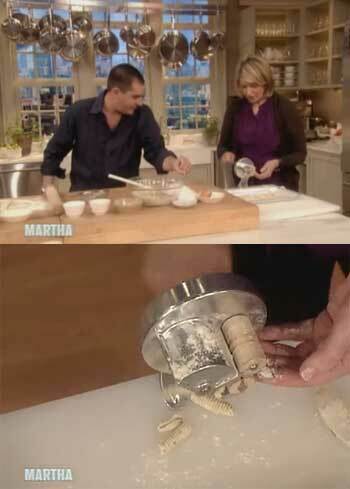 We sent our popular cavatelli maker to Martha Stewart! She used it in her show to make spicy duck meatballs with cavatelli. The Golf Channel, Emeril Live, The Food Network, Disney Orlando Resort, Warner Brothers, NBC TV, USA Studios, U.S. Armed Services, East Of Chicago Pizza Company, Domino's Pizza, Pizza Hut, The Marriot Corp, Lockheed Martin, Boeing, Sky Chef, Stanford University, Harvard University, Ohio State University, Ceago Vinegarden and many other well-known restaurant chains.